Trying to find a 12" loaf pan similar to my 9.25 but 3" longer ???? I have searched and searched seems the most common are the pullman style with straight sides. I am trying to match a loaf of bread from the store, (which we never buy the sandwich style of the squarish slices), we prefer the traditional tapered sides. I found Wilton's own 12 x 4 1/2 x 3 1/4 bottom about 3.25, this is just too narrow a slice. To fit your description but can't locate a picture online. Same pan thickness feel to it. May be listed as a cake pan a Königskuchenform or King's cake form. Sorry about the sideways picture. note: it doesn't have the sharp corners like the Wilton 12 inch so the "heels" will be thicker. The Wilton 12" looks pretty good. 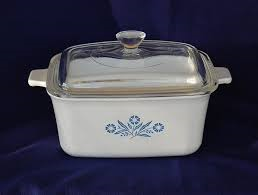 I use a 1 1/2 qt rectangular corningware when I want to emulate the larger "hearthbread" for sandwiches. I coat the inside with baking release and either cornmeal, wheat bran or oatmeal. Works great! If you want a normal sized sandwich, I cut a single slice in half. I use about 800 g dough for a nice rounded top. I only have a picture of the multigrain. 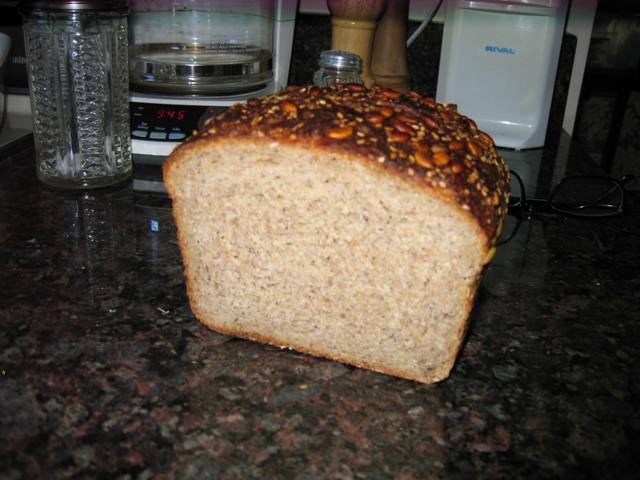 The bread with fewer additives rises higher.This loaf has lots of seeds and different grains and typically is not quite as high a riser as white or part WW. An alternative loafpan may be a rectangular angelfood pan. The drawback is that it is long so you may need to make enough dough to make 2 loaves, placed end-to-end in the pan. DanAyo, that is the pullman style, and might be where I end up since I will be exploring making No Knead, however the straight sides while fine for function, just doesn't feel like a regular loaf from the store. If I can avoid buying twice to get what I want, i.e, save money - spend the time - to find what I exactly want if it or something close exists. A lot will depend on how well my No Knead turns out. 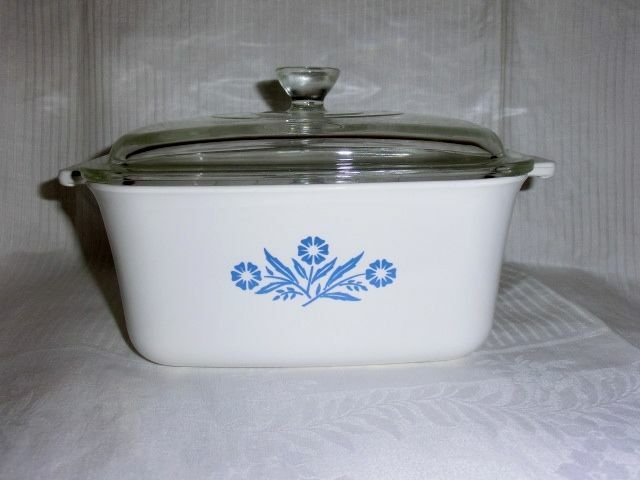 Mini Oven, thank you for the image, that size is basically the same as the Wilton 12 x 4 1/2 x 3 1/2 and is about 3 high. I did find your pan on Amazon and is imported via Frieling. clazar123, thanks man that is a good suggestion especially for No Knead style, yum :) great looking loaf. 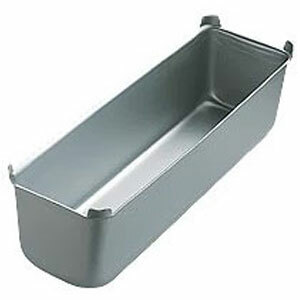 Gosh, I know I am a recent arrival to baking bread, but don't you think manufacturers and retailers would better serve sales by giving all dimensions of a loaf pan i.e. top 12x5 bottom 10x4 side 3" even volume ? Basically, 1st love the taste of homemade bread, but I am on a mission to save money, several things in food I think can easily save $$ in a month by doing homemade versions after proper setup, I have more time than money lol. I want to reduce making bread to once every other week, cut each loaf in half freeze 2 1/2 loafs and eat on the other half, thaw a 1/2 loaf when needed. So the 12" pans is more about production. Maybe I just buy 2 more of the Wilton 9.25 pans and not worry about it lol. Besides, I don't have a stand mixer to make the larger batch of dough. I don't want to save pennies to spend dollars in gas costs baking single loafs at a time. last year around the holidays about a dense date/nut bread we remembered from our past. That bread is traditionally baked in cylindrical pans and we were both trying to figure out where we could find pans for it. She eventually went with a stainless steel cylinder sold to hold silverware, and I found aluminum candlemaking molds. Also, I believe it's DanAyo (although it could be somebody else I saw here) who uses gold prospecting screens to sift his home-milled flour. You might find something to your liking if you think outside the box - as long as it's food safe, you're golden!